The Wiccan athame is a double-edged ritual knife and is used for directing energy, such as “cutting” unwanted energetic ties, drawing symbols in the air, drawing the sacred circle before ritual and closing it afterward. The athame is not necessarily very sharp, both for safety reasons and because traditionally, it doesn’t actually cut anything on the physical plane. The athame’s masculine, assertive qualities make it a powerful representation of the God. The athame is associated with both Fire and Air, depending on the tradition. Those who link it with Air are drawing from the symbolism of pre-Wiccan esoteric systems like that found in the Hermetic Order of the Golden Dawn, which was a major influence on Wicca. Because sharpness is associated with intellect—the domain of Air—and because the athame directs energy through its movements in the air, this association feels the most authentic for many Wiccans. Those who link it with fire point to the fact that knives are literally forged in fire, and that they are agents of transformation. (Of course, the latter can be said about the wand as well.) If you are an eclectic practitioner without a set tradition to follow, simply go with the association that makes intuitive sense for you. The quintessential athame resembles a simple dagger. It has a black hilt, or handle, and is generally no longer than the length of one’s hand. (A long knife can be unwieldy and therefore dangerous, not to mention more difficult to store and/or travel with.) The handle is said to store a small amount of the magical energy raised in ritual for later use, such as in spellwork or charging other tools. 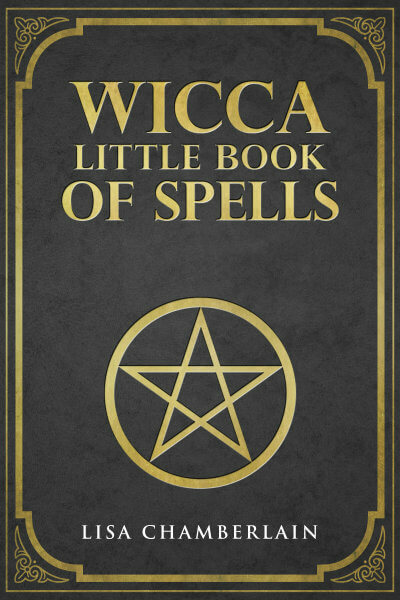 Athames can be found in shops specializing in Wicca and other “NeoPagan” spiritual traditions. Some have gorgeously ornate hilts carved with magical symbols and/or set with crystals. Others even have crystal blades. Indeed, an athame can be the most beautiful knife you’ve ever seen! 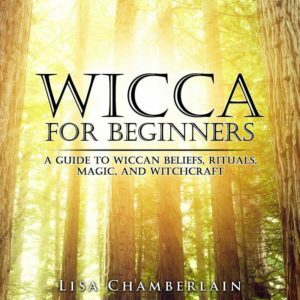 However, not all Wiccans prefer, or can afford, the more glamorous versions, and many will consecrate a simple kitchen knife instead. You can etch your own symbolic carvings into the handle if you go this route (being sure to wrap the blade securely first! ), but it’s also fine to have a very plain athame. Although the athame is never used for actual cutting in orthodox Wicca, newer traditions make a few exceptions. These include harvesting herbs used in spellwork, shaping a new wand from the branch of a tree, and carving magical symbols into a candle for ritual use. Some kitchen Witches may even use their athame to prepare magical foods, in which case they will use a more practical, single-edged knife. However, many practitioners choose to use a separate knife, called a boline, for these purposes. The boline is traditionally white-handled, and while still considered a magical tool, is not used in actual ritual. As with any other ritual tool, the process of choosing one can be interesting and fun. If you’re in a coven, then obviously you’ll choose one that fits the coven’s requirements. If you’re solitary, you have more options. Either way, be sure to take a few moments with each knife you’re considering, and take note of how it feels in your hand. You may have to pick up several before you find the one that’s right for you, but when you do find it, you’ll know it.